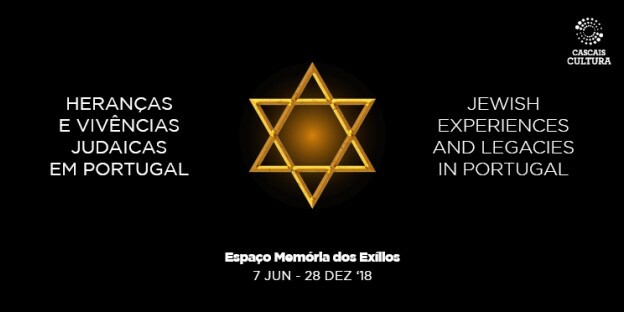 Sra Dra Inês Fialho Brandão, who works in the Espaço Memória dos Exílios within the Câmara Municipal of Cascais, informs us that a special exhibition is being held there called Histórias e Vivências Judaicas em Portugal. This exhibition presents objects and documents that belonged to Dr Reynaldo dos Santos, the famous medic and art historian who left an important legacy to the Cascais Municipality. Letters from Austrian and German doctors, who, fleeing Nazi persecution, found refuge in Portugal; one of the oldest records of Jewish presence in the country - the Jewish headstone from Mertola; the billeting forms of Alma Mahler & Franz Werfel at the Grande Hotel (Monte Estoril) are but a few of the objects on show in this exhibition. And, to be noted, on 18th December, at 20.00, the first of two night visits of the exhibition to be conducted by Prof. Paulo Mendes Pinto.